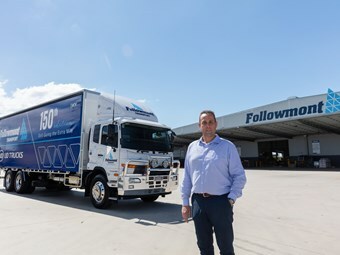 One of Queensland's largest freight operators, Followmont Transport, has just welcomed its 150th UD truck. Followmont's 383 mixed-truck fleet has seen an average of around 12 to 15 UD additions each year, from smaller stuff right to prime movers. The 150 UD milestone, according to Followmont Transport managing director Mark Tobin, is just another spoke in the wheel of a strong relationship with the truckmaker. "We’re excited to be taking on our 150th edition at Followmont Transport, it just goes to show the growth of our business and the strength of our operation," Tobin says. Clocking up more than 85,000km each day and shifting 3,000 tonnes with a 99 per cent on-time track record, relibaility is key. "We need reliable and dependable products and find the UD is a truck suited to support our growth, making our jobs easier." Tobin says. Connecting Queensland from Blackwater to Birdsville and from Cunnamulla to Cooktown, Followmont Transport services more than 20,000 customers. "We have a commitment to our customers to always go the extra mile and be relied upon for their transport needs, so we need equipment that is fit for purpose and UD Trucks provide the right product for our business," says Tobin. "We set high expectations around the service we deliver and we expect the same dedication from our suppliers." UD Trucks vice president Mark Strambi presented Tobin with the keys to the new truck, celebrating a close working relationship. "As a passionate family business Followmont Transport is 100 percent dedicated to service and hands-on relationships," Strambi says. "These values hold the same importance for UD Trucks; our ethos is to always go the extra mile in everything we do. 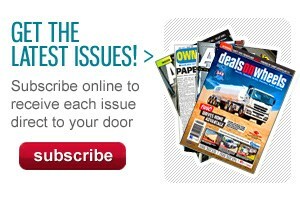 "Wherever Queenslanders are, Followmont Transport is there too. 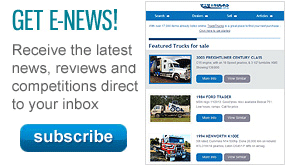 And UD Trucks will always be close by to support them." VCV Brisbane North Salesmen Stuart Blackmore explains that of the 150 UD trucks purchased over the years, 123 are still currently working out on the roads. "The 150th truck is their standard spec for Brisbane metro work… Followmont Transport has ordered the odd prime mover, but most of their UDs are 12 pallet or 14 pallet body trucks," Blackmore says.